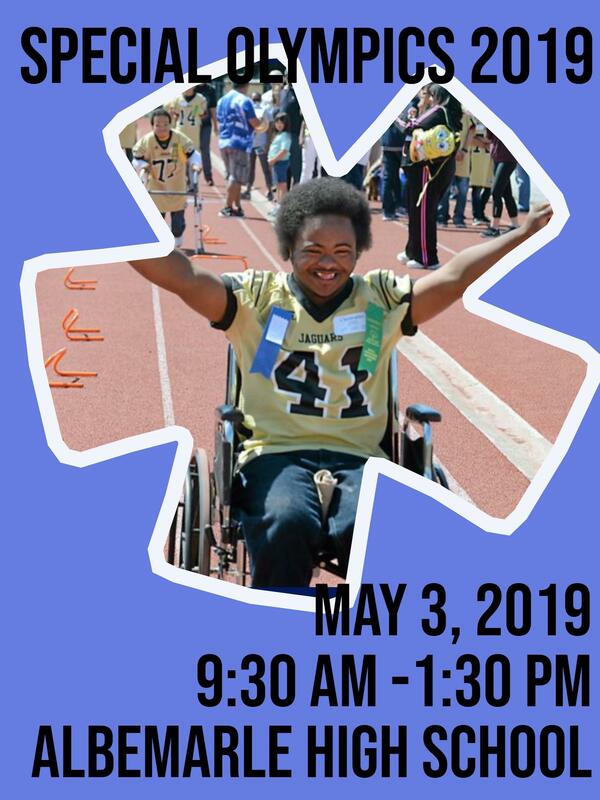 Due to severe weather predictions, Special Olympics will now be held on Friday, May 3, 2019, at Albemarle High School. The opening ceremony will begin at 9:30 AM. We hope you can come by and support our athletes during this special event!